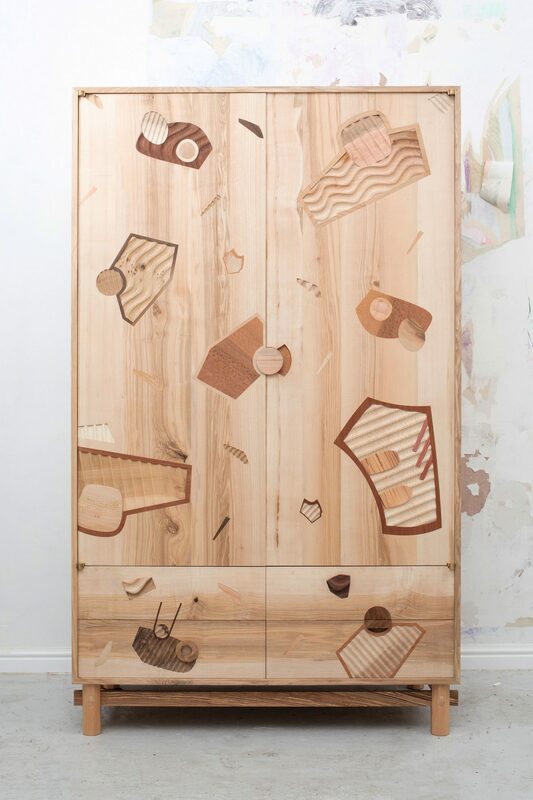 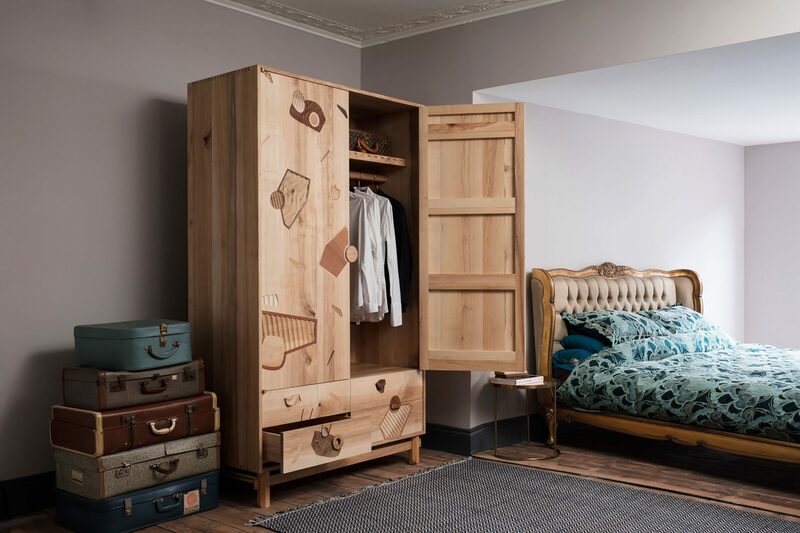 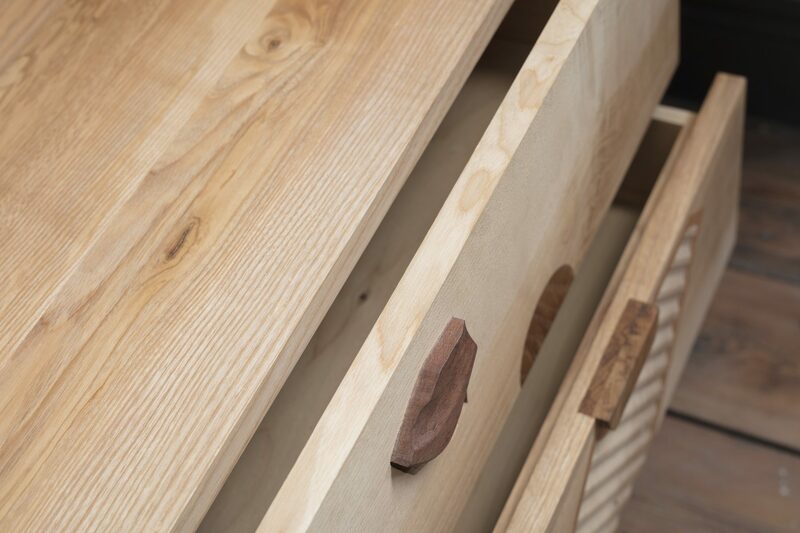 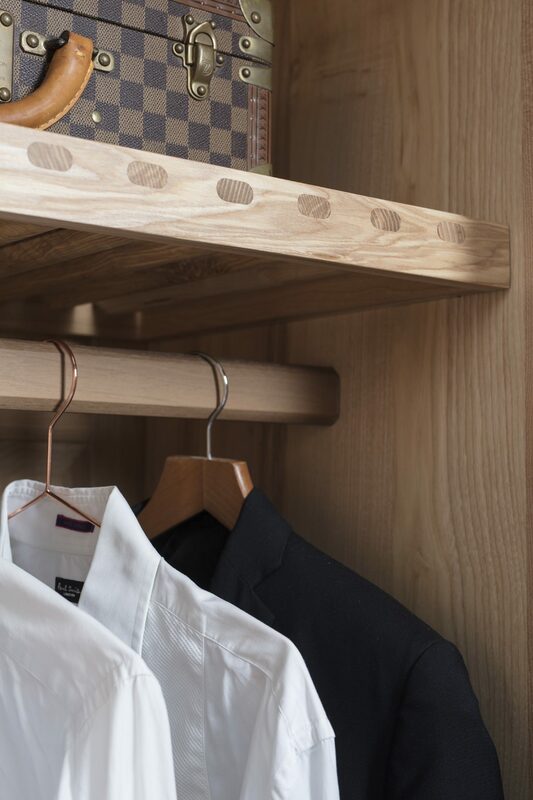 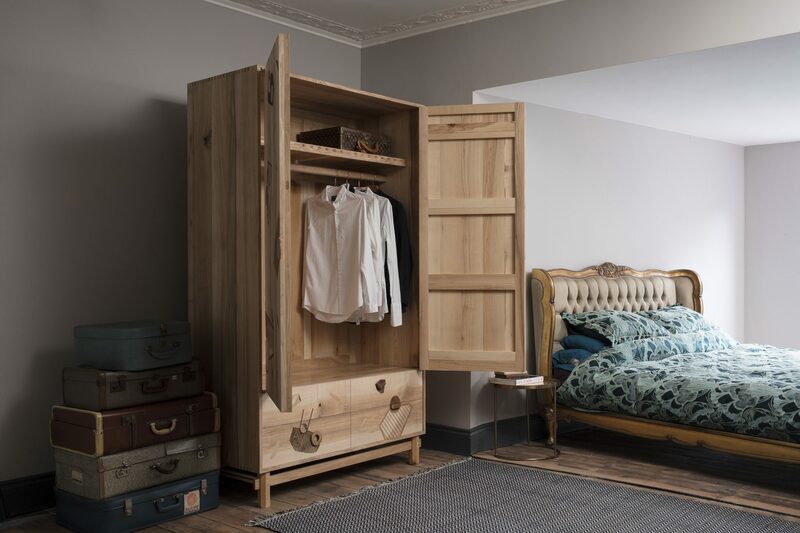 It features a fielded cedar back, 2 doors, 4 drawers, a slatted shelf and clothes rail. 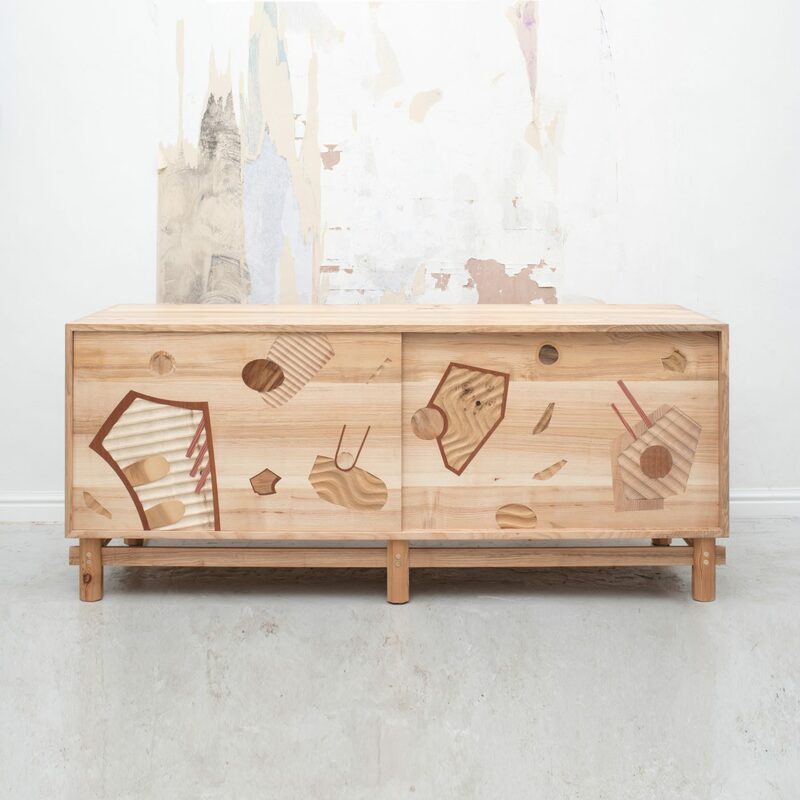 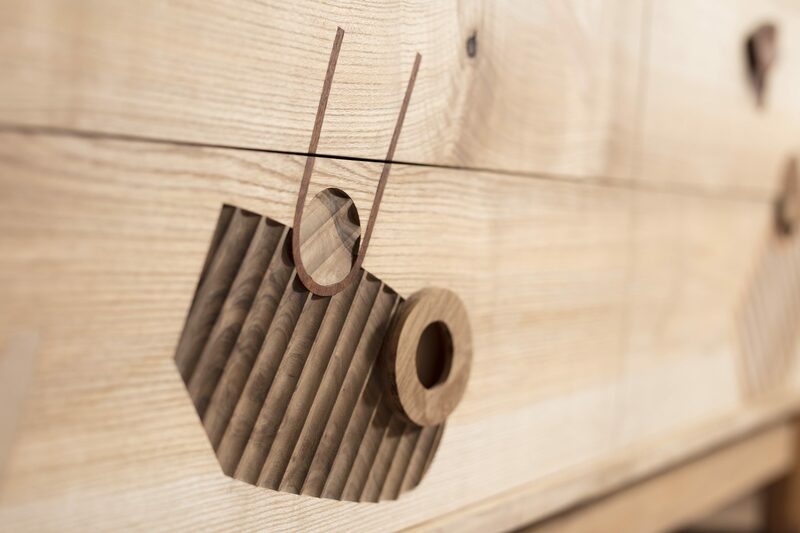 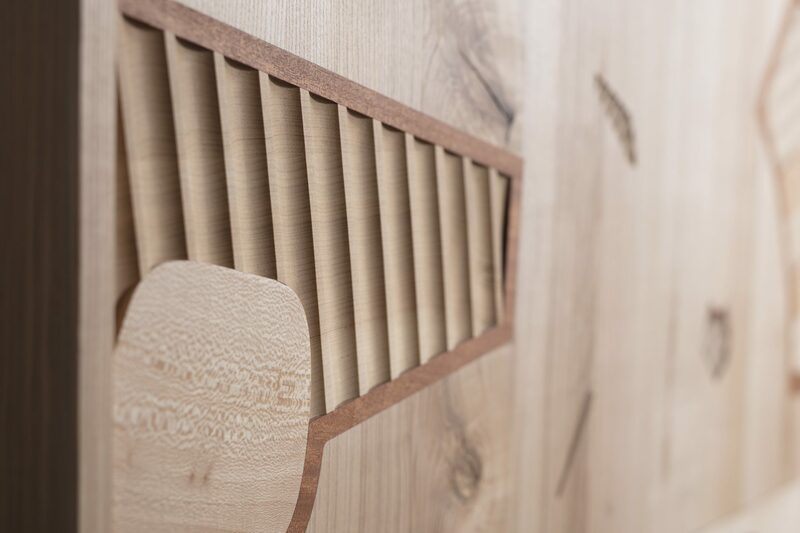 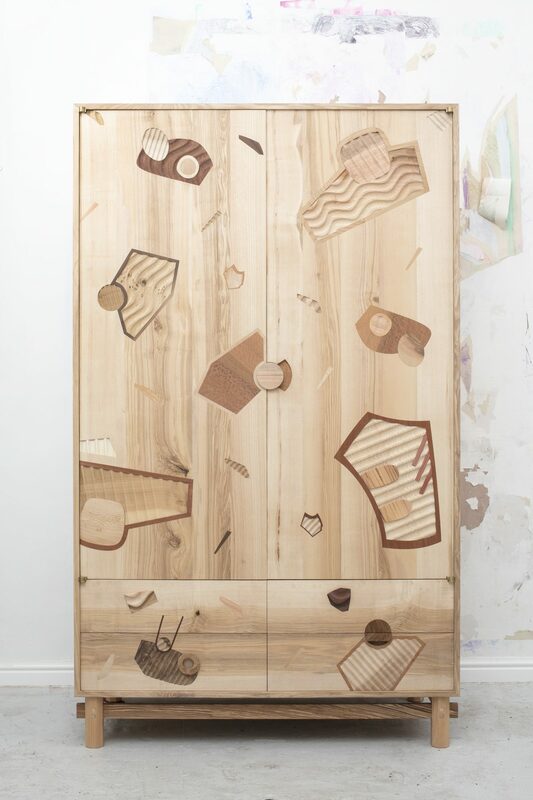 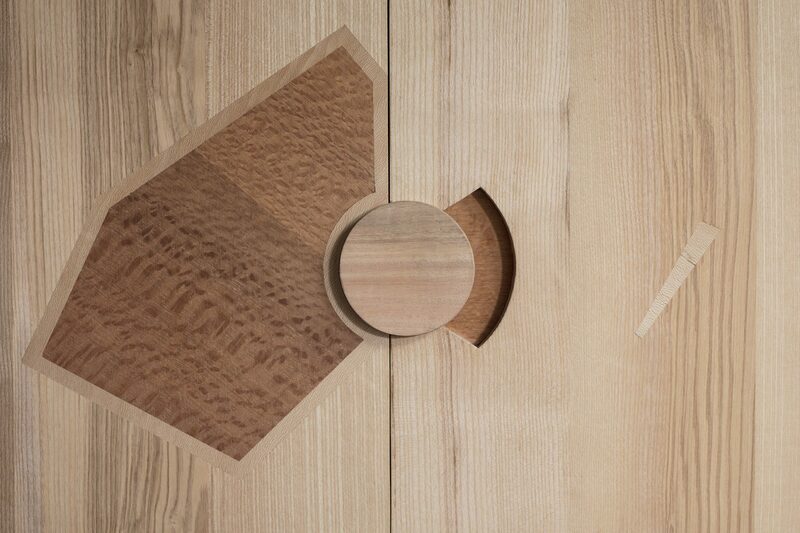 Highlights include hexagonal profiled legs, intricate marquetry, mitred and finger jointed carcasses, hand carved drawer fronts, custom made knife hinges and hidden handles. 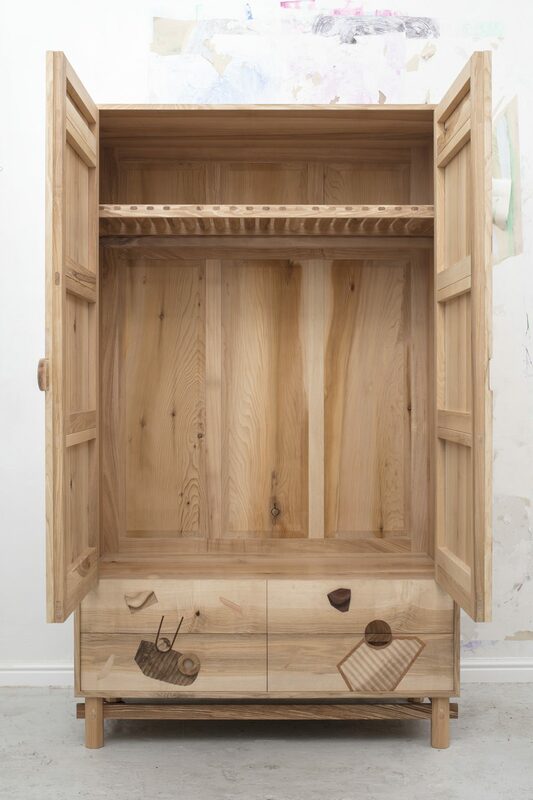 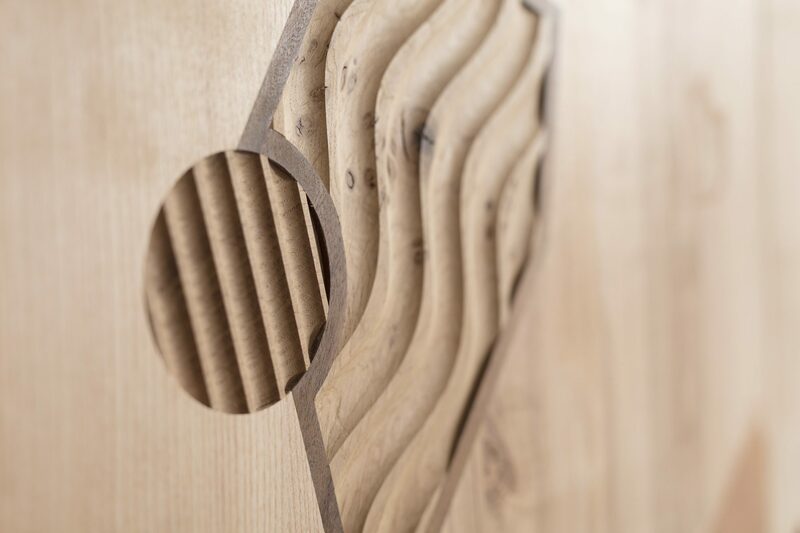 – Ash carcass, Douglas fir base, cedar backing, inlays from a wide variety of timber.